Mars has moved into Taurus. Should we be glad? I THINK WE SHOULD BE HAPPY. Always. Or at least as much as is humanly possible. The MISSISSIPPI'S rising is sending a message. Nature always speaks to us, but it is a language that many have forgotten, because they are too busy with the iPhone taking photos, looking at the outside instead of the inside. It's perfectly normal. But normal now, needs to rise to higher levels of being~ thinking! It can be done. Mars in the earth sign of Taurus is slow moving, methodical, and musical. The magic of Memphis is being asked to reveal itself. It's no ordinary place. It is filled with a history of loss, but also giving- unconditionally. From Elvis giving away Cadillacs, to Martin Luther King Jr. giving REAL COURAGE to millions. This is about LOVE. Disaster always melts hearts. It takes away the petty crap, the 'you did' 'he said' in the argument no longer matters. People are forced to work together. The river makes you move along, like she does. Its an incredible lesson she's giving. Surrender to nature makes us realize we are nothing in the face of divine, but love itself. And now, the Mississippi is giving darshan. See how powerful I am? (she says). Love one another. Help one another. GIVE. What else do you have to give but your heart when all has been washed away? Taurus is ruled by the sign Venus. That's love. When Mars which is ACTION moves into the sign of Taurus we have: LOVE IN ACTION. or we have STUCK IN THE MUD. On June 4th JUPITER will move into Taurus. (for 12 lovely months). So what happens right- now- this magical day of May 11th- is tied to success that can prevail beginning in June. All summer will be spent working to repair what is STUCK now. Build on the solid ground of what your truth is ~ and never lose site of the goal. Whatever it is! If you don't have a 'goal' get still and it will make itself known to you. But right now, today, I suggest you visit your relationship to magic. How do you create? With intention and grace all things are possible. They may not end up exactly as we planned, but without a plan nothing gets going. It's just the starting that is so hard for so many. And the believing. Once there was a crystal skull attached to that pyramid on the Memphis banks of the mighty Mississippi. It was put there via instructions from a Poona Avatar. To create BALANCE. It was removed, (by clueless 'authorities') and what was lost was an understanding of the higher workings of the universe. Almost like Tolkien's ring, there are things in this universe that have a power we shouldn't mess with. And to counter that moving of the crystal skull we have to tap into a reservoir of love. We have to BE LOVE. MEMPHIS was incorporated on Dec. 19 1826. (yes cities have astro charts!) The sun was at 27 Sag that day. That is the GALATIC POINT. OPENING. UNIVERSAL KNOWLEDGE. THE ALL. MAGICAL. It is that city's birth right to rise and create. Music, love for all, a portal for the golden age. But it also sits on a fault line, and it can crumble and drop. Uranus right now (earth movers) is sitting on Memphis's Pluto, (sudden massive loss) and Squaring it's Venus. (a different kind of love). Saturn is conjunct Jupiter in Memphis' chart- faith of the city. This is some powerful energy being opened. Like I said- magic takes believing. And believing leads to doing. And doing can bond magically ties to one another. 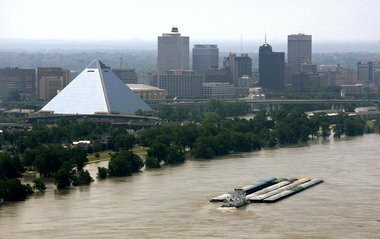 Will MEMPHIS RISE or Fall like the waters of the great Mississippi? Time will tell. We will have to wait, watch and hopefully make a plan to seek THE higher ground.